With over 200,000 people experiencing their own finish line feeling at a Great Run event in 2018, there’s been countless moments from that have left us reflecting on an incredible year of running. 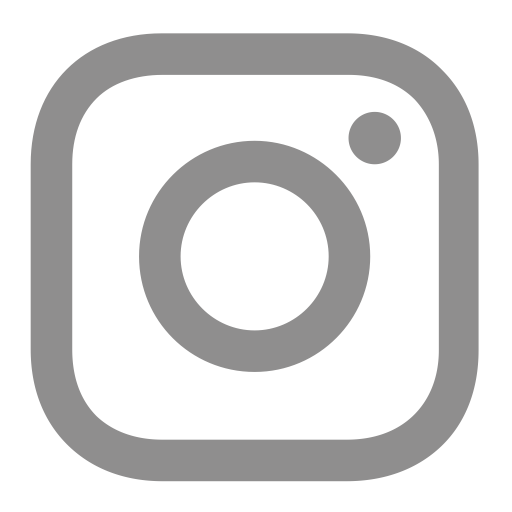 From the world’s best athletes to absent friends and to those crossing the line unaided for the first time, our social media was ablaze with stories from amazing people who have taken on their own personal challenge. 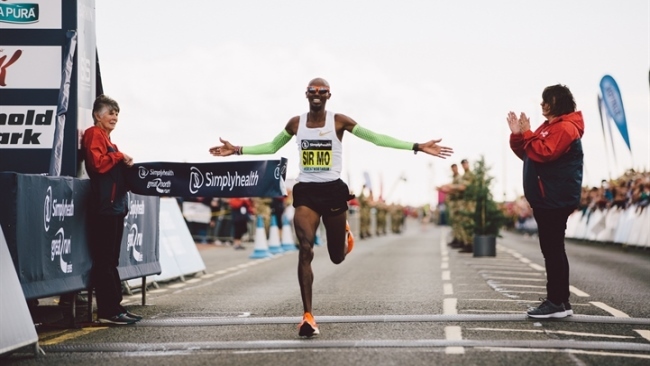 Sir Mo Farah returned to the Simplyhealth Great North Run to take his fifth consecutive title this year. The record win in 59.26 in front of thousands of cheering crowds in September made him the first man to win the event five times. Almost a year to the day of the Manchester Arena Attack, thousands took to the city’s streets for the Simplyhealth Great Manchester Run in an emotional display of solidarity, pride and passion. 30,000 people lined up for the 10k and half marathon in May, proving no matter how they got to the start line, Manchester runs together. 30 firefighters from Avon Fire and Rescue Service took part in the Simplyhealth Great Bristol 10k in May as part of their aim to raise over £70,000 for three-year-old Daisy Roberts, who has cerebral palsy. Daisy, who also joined them for the event’s Family Run, needs an operation to allow her to walk unaided. 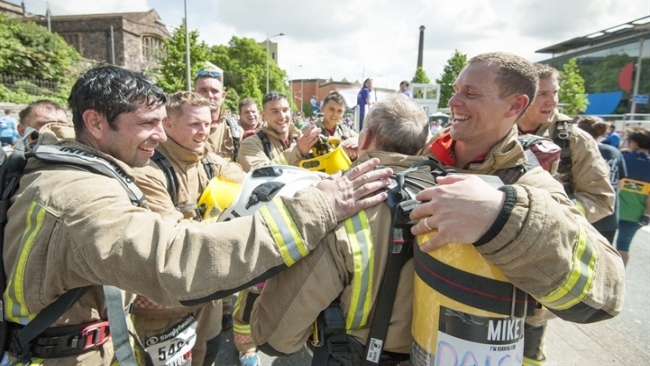 The firefighters took part in the 10k in full uniform, while carrying one of their ladders and were given a huge and emotional welcome as they completed their challenge. Footballer Jack Farrugia suffered life-changing injuries in a car accident nearly 10 years ago. 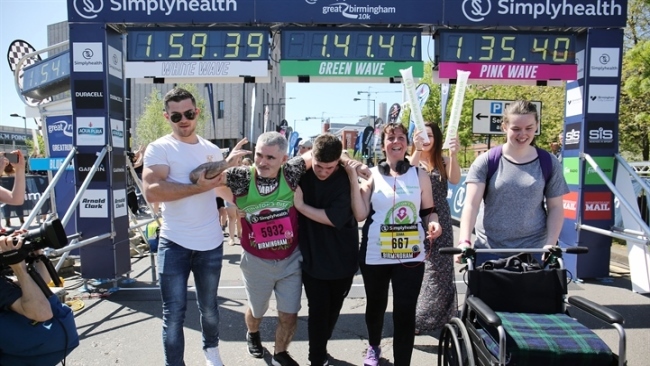 Despite suffering severe brain damage that left him confined to a wheelchair, Jack entered the Simplyhealth Great South 5k in October to raise money for the Wessex Neurlogical Centre at Southampton General Hospital. He was determined to complete the final 50 metres on foot with a team of supporters. 10-year-old Kieran Allen took part in the Bank of Scotland Great Scottish Run Family Mile in September, despite suffering from quadriplegic cerebral palsy. He had challenged himself to taking on his longest ever run with his family to raise money for the Bobath Centre for physio and occupational therapy. Kieran’s challenge was one of the most heart-warming moments of the weekend, with the crowds cheering him on as one of the final finishers of the event. 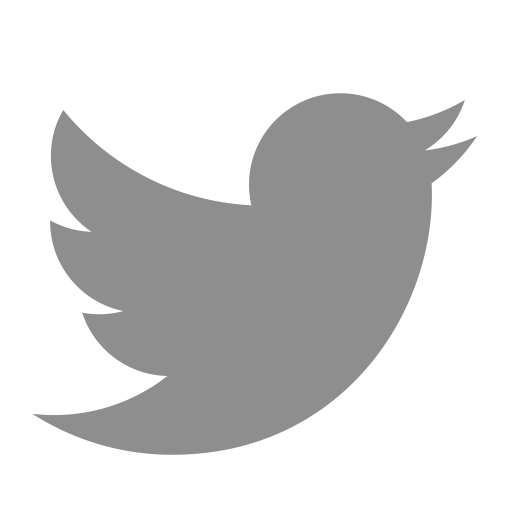 Despite having a fear of crowds, he proudly crossed the line to a thunderous applause. 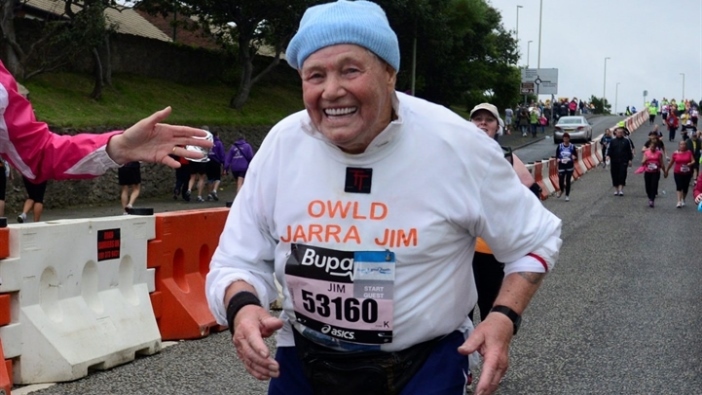 When Great North Run legend, ‘Owld Jarra Jim’ Purcell passed away in February at the age of 96, thousands of you reacted with condolences and fond memories of one of the event’s most popular local runners. Jim, who started running at the age of 65 following the death of his wife Betty, inspired people of all ages to take on the Great North Run. He took part in the half marathon 26 times, raising hundreds of thousands of pounds for local charities. Accomplished runner Phil Rossall was diagnosed with Motor Neurone Disease two years ago. 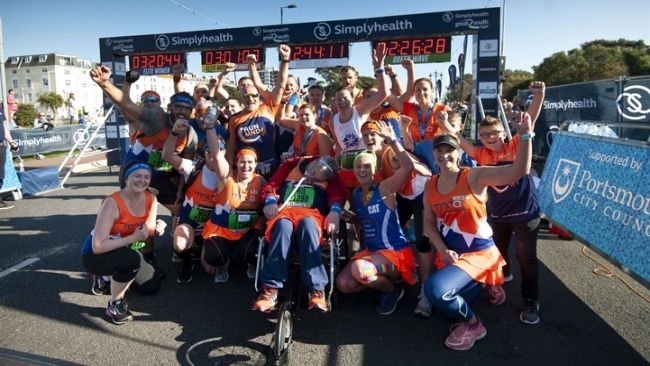 He now relies on the use of a wheelchair and ventilator and aimed to complete the Simplyhealth Great South Run in October as his final run. He was joined by a huge group of supporters from Run MND, who aimed to raise £10,000 for the Motor Neurone Disease Association. Jacqui Longrigg had her sights firmly fixed on taking part in the Simplyhealth Great Aberdeen Run, despite having endured a torrid twelve months during which she was diagnosed with breast cancer. She recently completed a successful spell of treatment and even managed to fit in running in between radiotherapy, focusing on her own mental health and headspace. Thousands were left feeling inspired as Jacqui lined up on the 10k start line to raise money for CLAN cancer support centre, where she was treated. 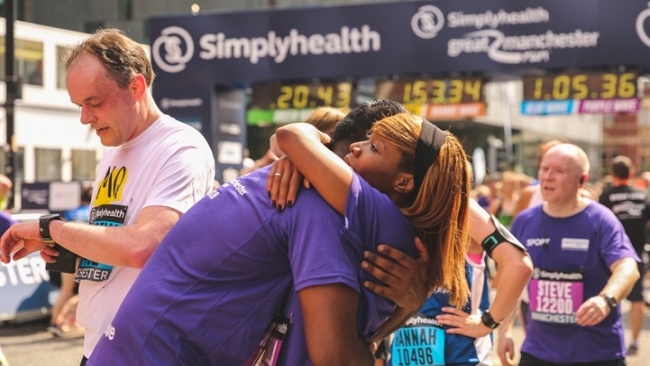 There were emotional scenes at the Simplyhealth Great Birmingham 10k as Donna Kerr helped her husband Daniel across the finish line. Daniel has Huntington’s Disease and was pushed around the 10k course in a wheelchair. 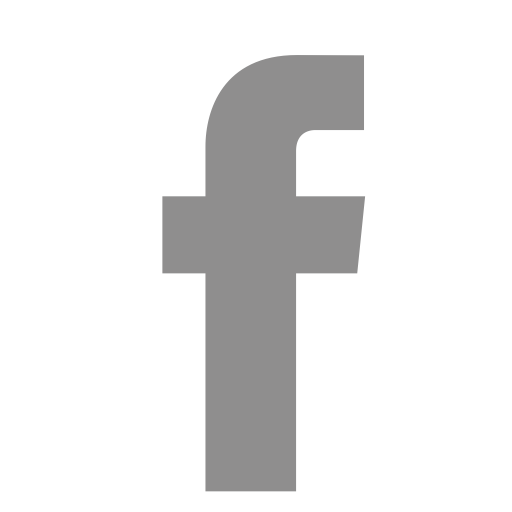 He was previously active before he was diagnosed the debilitating disease. The couple’s five children were among many supporters at the finish line to cheer Daniel in his final yards on the home straight. Martin Hibbert was left paralysed from the waist down in the Manchester Arena Attack, being was just yards away from the explosion. 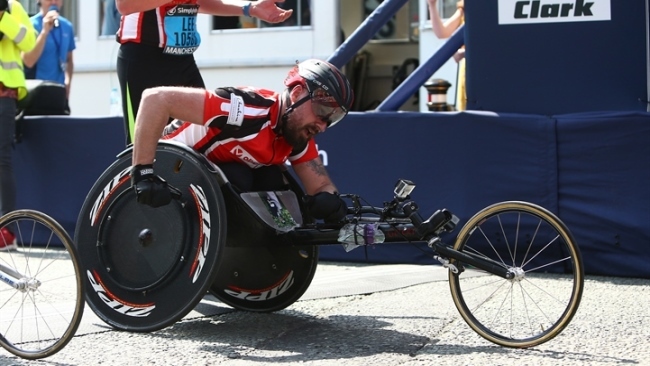 Almost a year to the day, he lined up at the start of the Simplyhealth Great Manchester Run to take on the 10k in a racing wheelchair for the Martin Hibbert Foundation, aiming to raise £1m for the hospitals that saved his life.